In general I would like to say that again DJI Support is helpless. 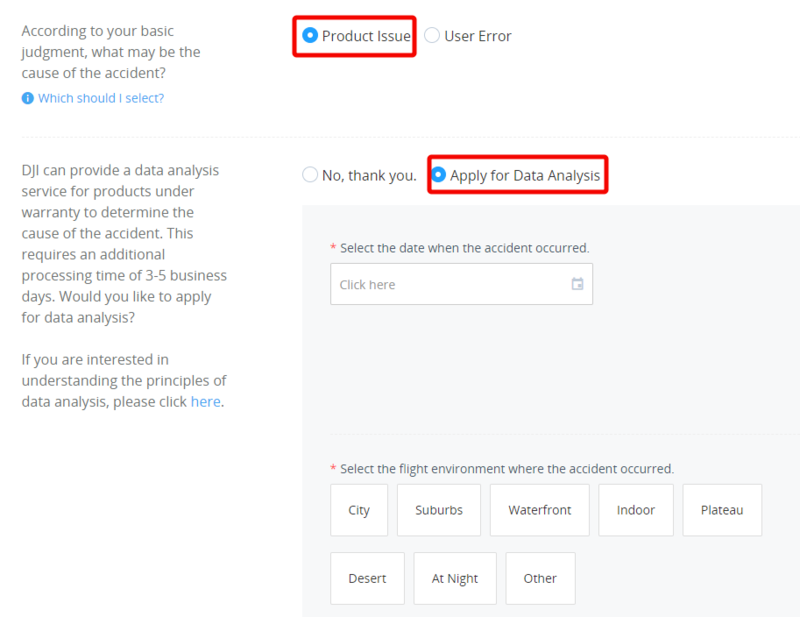 Again I specified why I send my drone for repair, describe the situation which again is drone being disconnected during the flight and fell down just like that (Not due to my fault) and again DJI support does not even bother to check the flight log from which everything is obvious but make judgmenet upon what they see, so drone in parts due to crash with the ground. So DJI support tries to charge me for repair but I am not nauce to do so and have to fight again for truth. I tell them again to check the log and again I am asked to send data despite the device (built in screen) is in their posession. Oh DJI Please transfer the helpless service from Netherlands to Poland. I can already ponint two really helpfull guys who could handle this and I assure you these two guys have far greater onowledge than staff in Netherlands. Waste of time with them again and again. Hi there Robert, sorry to read the frustrations and unpleasant experience with our customer support team. I was able to pull up your case number using your Forum account and I will forward this and call the attention of the team to re-evaluate the flight logs. We appreciate your patience and understanding. Be nice, if someone with connections, offers to help you. Each time it is the same story. All because DJI does not have a real competitor on the market so its atitude is they do not have to care about clients, as they do not have alternative solution really. However I will try to do something about it within EU at least. I only have my best wishes to offer you, at this time, but would do more if it were in my power. There are numerous similar stories told, and it’s a shame that the proof can’t be accepted by them, in charge, at DJI hq. Yes thanks. It is a shame people spend a lot of money on their products and in return they receive unprofessional support when each time they have to proof obvious facts to them as they do not really bother to do their job preceisly. I feel it’s often a losing game. Once you buy the model, you really have to accept full responsibility for them, and can not expect any input from the suppliers or distributors, let alone the manufacture who built the thing. Sometimes I feel it’s best to buy unassembled kits like we do with Align RC helicopter models, and it’s in that building sequence, that assures us, we can fix it, when it breaks, hitting the ground, hard. I hope that no fatality, with a hobby drone mishap ever happens. As it had with large model helicopters. That’s not a topic for serious discussion, here. In my opinion it will happen one day if DJI does not learn from mistakes or at least start listening to their customers. I hope your complaint is addressed in due course. Wishing you a better outcome, than the beginning. Think positive, till the end. I know you are. Thanks, that’s all one can really be expected to do, at this juncture. If there is anything I could do to help you, please ask. Thanks for being good natured..
That’s always the goal. To be the very best person you can be everyday. Robert, sorry again for the inconvenience caused, it seems you didn&apos;t apply for the data analysis when filling in the online repair form, therefore, the quotation was sent to you by default after the damage assessment. We have applied the data analysis for you and the team will contact you once it is finished, thanks for your patience. Maybe, but I wrote exactly what happened and you should in general read what your customers write to you. If I say the aircraft got disconnected during the flight Please do not make me stupid saying I crashed onto something. In general Please read what is writen in RMA. Hi Robert, you have our sincere apologies for the unpleasant experience with our customer support team. We already coordinate your concern to the respective department. We will notify if there is any update to your concern. Thank you.